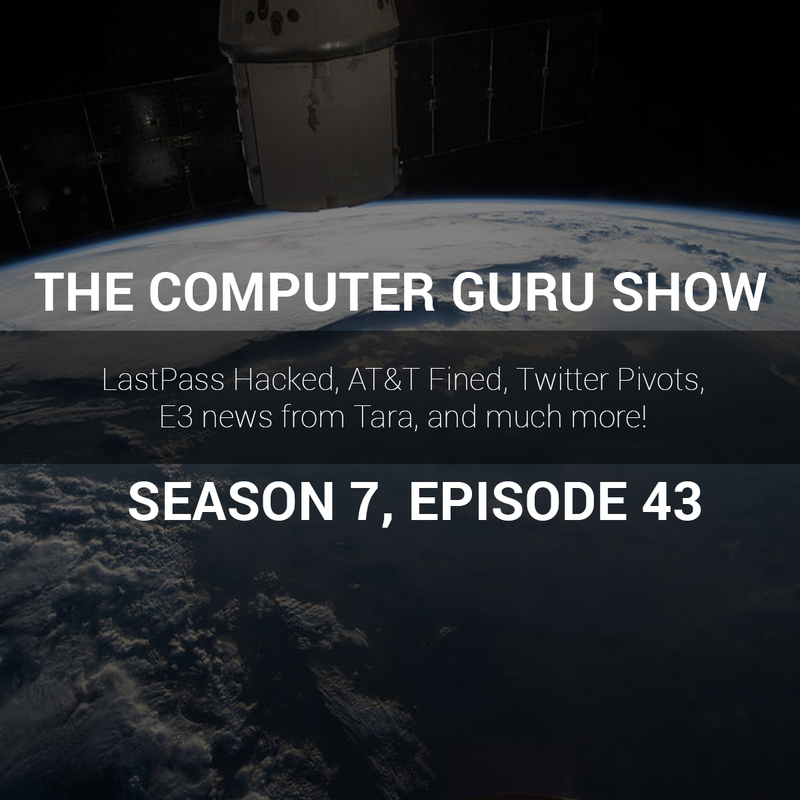 This week Tara is calling in from LA, where she's attending the E3 gaming conference. She's got the skinny on all the newest games and gaming news, and Mike and Cat have some awesome tech stories to share. Segment 1 LastPass was hacked - this is a big deal if you use it. Change your passwords, and changze them often. Segment 2 AT&T fined $100,000,000 for shenanigans and hijinks. Twitter is pivoting into a new direction. They're pivoting. They're going to pivot. Segment 3 Ellen Pao is being fined $276,000. She's also terrible at running Reddit. Call - Jeff wants to set up a home network but has some questions about it Segment 4 Call - Mike finishes up Jeff's questions Tara gives us some E3 highlights, including all the awesome VR tech.